As schools break up for Easter, Ofsted offer this present. Taken from the evaluation surveys they conduct after each Section 5 inspection, they have concluded overwhelmingly that school leaders found the process useful. Nearly all leaders would take the inspection recommendations to improve their schools. 92% found the process fair and accurate, and that the demands of inspection were reasonable. Whatever the costs, 82% found the benefits outweighed them. Nearly 4/5 said that their inspection confirmed the actions they were already taking to improve their schools. Ofsted does not collect similar responses from school teachers, who might be expected to take a less positive view of the process. This Gladwellian claim – from the notion that it takes 10,000 hours to acquire expertise (or 10 years of ‘purposeful practice’, if you are Matthew Syed) – might explain the reluctance of some school leaders to put their eggs in the development basket. Sorry, boss. I’d love to be good enough to guarantee your performance targets, but I haven’t put in all the hours yet. Patience is not a virtue if you are RI; yet might be Dweck’s favourite word, but she’s not in charge of performance-related pay at my school. So schools – who knows, maybe most schools – take the shorter view. We have 200 students in year 11 now, so we will give you 3 terms to meet the targets. Not sure you can make it? Well, we have a coach for you, or a course for that, or an Easter revision session for them. Maybe next year we’ll give you some time to develop. Some complain that PRP is a queer incentive: it stifles creativity; it militates against well-intentioned collaboration. Teachers, ardent for some desperate glory, swallow the old lie that they must play safe to ‘secure’ the best grades for their kids, and claim their pay-rise. Arguably the incentive is not illogical at all, but in fact well-attuned to the factory practices of the modern education system. Our schools produce in batches, declare annual statements and are part of the supply chain for wider industry. In this context, ‘performance’ is what is achieved by the end of this year, and naturally pay is pegged to it. No wonder teachers fear performance management. While their heads tell them that getting better at this business is hard work and will take time, the school bell ringing in their ears reminds them that time is not usually on their side. It doesn’t have to be like that. Even the government says so. That comes from the DfE guidance to schools on performance-related pay. Notice the warm, cosy words, the huggy tautology of a ‘supportive’ process designed to give ‘support’. Hark the invitation to develop their practice ‘throughout their careers’, as if the Department has come over all Malcolm Gladwell, and not Malcolm Tucker. Even if the neo-realists in the staffroom stick an accusing finger at the still centrally dictated targets, there is at least some recognition here that good teachers take time to grow. PRP: it’s a nurture thing, promise. Some headteachers are deciding to take them at their word. Time. Time in the week to cooperate with their colleagues. Time in their careers to put in the practice so that they can become expert. In Awakening the Sleeping Giant, 2001, Marilyn Katzenmeyer and Gayle Moller wrote that “within every school there is a sleeping giant of teacher leadership, which can be a strong catalyst for making change.” Their ‘sleeping giant’ was that great gulliver of extra effort, that reservoir of ‘discretionary input’ that gathers, often untapped, in classrooms and staffrooms across the land. We may be on the edge of a moment. As Ofsted, and teachers themselves, rethink what great teaching is, so we might recalibrate our instruments for measuring it. It would be good to think we might take the long view and devise ways of rewarding the practice teachers put in on their way to expertise. Not so queer. Reports here from Tim Brighouse, Christine Gilbert, Jon Coles and others on how London Challenge transformed schools in the capital. Yesterday, I was privileged to be on a panel with Tom Bennett, Margaret Mulholland and Ed Chapman at the London Festival of Education, discussing why and how evidence can be of use in education. 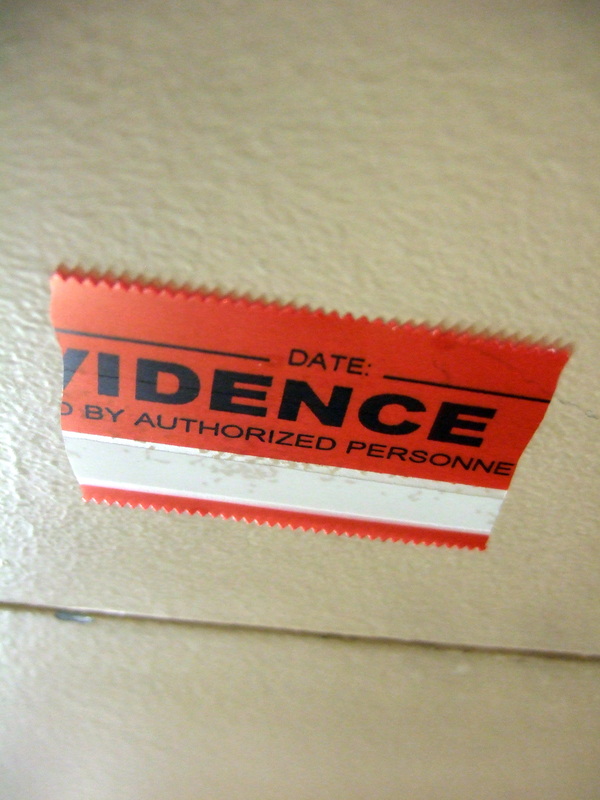 Here are four ways I think evidence can be used, and some places we might start. How can we use evidence in education? A beautifully simple example from Stephen Lockyer exemplifies this: he thought his students were moved to ask for a tissue by seeing the box at the front of his classroom. Moving it out of their eyesight, to the back of the classroom, he measured how much longer a box of tissues laster. The answer: at the back of the classroom a box lasted seven times longer. With this in mind, he started sticking rulers to his board, to act as a reminder to use them.